A rampant Tynemouth First Team bowling attack blew away an in-form Whitburn side on Saturday at Preston Avenue for a comfortable win. Once again skipper Ben Debnam won the toss and, with heavy showers forecast, he decided to have a bowl first in good conditions but on a track that looked like it would assist the seamers. His opening bowlers showed great control but no mercy and quickly had the visitors in trouble. Finn Lonnberg produced a wonderful opening spell of quick, accurate bowling taking the first four Whitburn wickets and leaving them struggling at 18-4. With the miserly David Hymers backing him up at the other end and taking the next two wickets the away side were soon in disarray at 25-6. Some mention should also be given to the outstanding catching of keeper Matty Brown and slippers Tahir Khan and Stu Poynter. However, young Kiwi Jeremy Benton batted at three and grafted hard for his side and was last out, lbw to Martin Pollard, for a determined 26. A score of 53 was never going to be enough against the high flying home side. Lonnberg was the pick of the bowlers with 5-17 but received great support from Hymers 2-15 and Khan 2-6. Tynemouth took just 10.2 overs to clinch victory only losing Debnam for 15, bowled by the impressive Kieron Waterson. Graeme Hallam with 26 and Stuart Poynter with 10 were the not out batsmen who saw the home side through to a comfortable victory. On Friday night rain prevented the T20 game at Jesmond against Newcastle being concluded but due to their superior run rate Tynemouth finished top of Group A and now face Felling in a quarter-final tie on Friday at Preston Avenue. Emirates Ground later in the season. 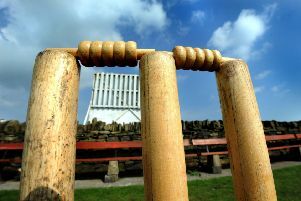 T20 games on Friday evenings have become very popular at Tynemouth and spectators are most welcome this week. Wickets are pitched at 6pm and the bar and BBQ will be lively!